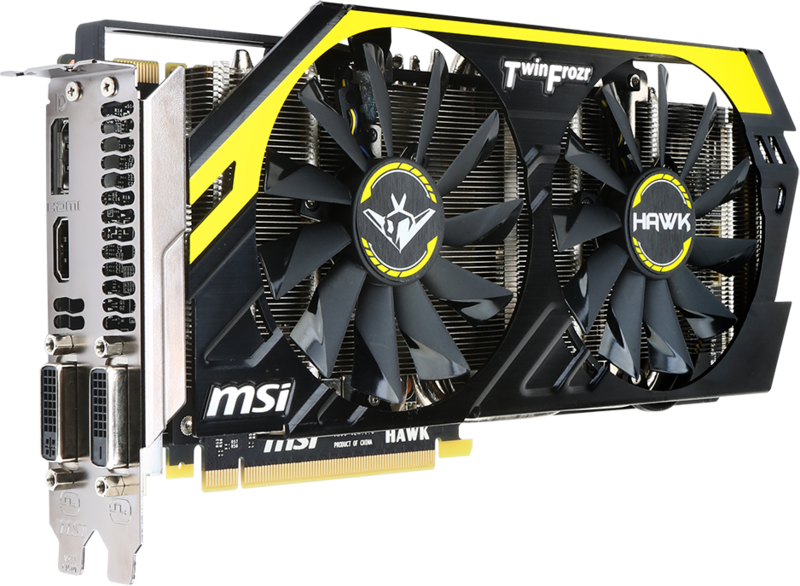 The MSI GTX760 HAWK is the most expensive 2GB GTX760 on the market – and when MSI provided us with an opportunity to test it out, I couldn’t wait to see what made the HAWK so special. I’m the first to admit that I’m not a “mad scientist” grade overclocker – you won’t find any liquid nitrogen at my place, but I do like to dabble a bit. 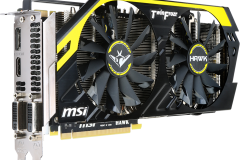 It was surprising to see what I was able to get out of this card with my limited experience and access to the MSI Afterburner software. 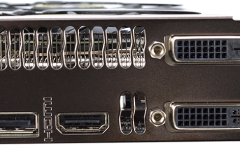 I’ve had other factory overclocked cards before and in most prior cases the overclocking potential beyond the ‘out of the box’ overclock has been average at best. MSI has delivered something awesome with their top of the range GTX760 HAWK. 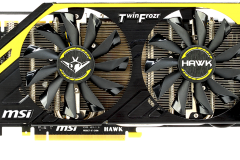 Unlike the Gaming series cards with red stripes, the HAWK has a yellow colour scheme – in this case red might go fast but yellow would appear to go even faster.. 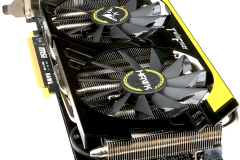 There are dual BIOS chips on the HAWK allowing you to switch between a ‘standard’ BIOS and a Liquid Nitrogen (LN2) voltage unlocked overclocking BIOS. As it happens, we flicked the switch and didn’t want to look back. 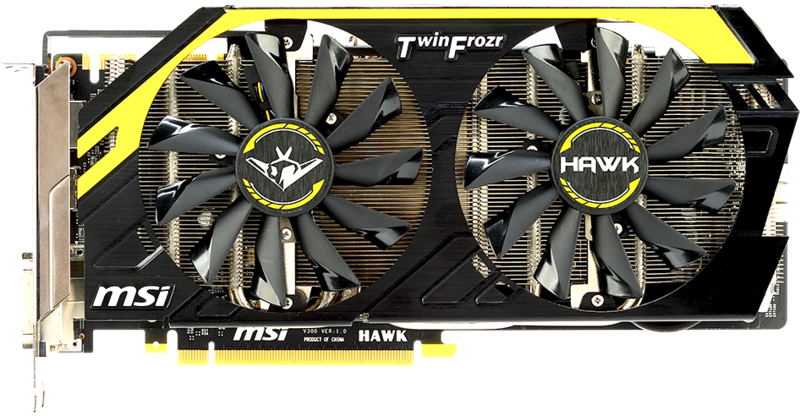 The cool blue LEDs on the Twin Frozr fans are a nice touch and are probably just subtle enough for most people. 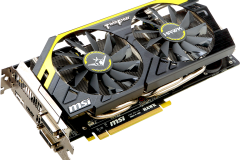 We consider the GTX760 a ‘mid range’ GPU despite it being able to play basically anything at 1920×1080 with most if not all eye candy turned on – which is a good thing for gamers. 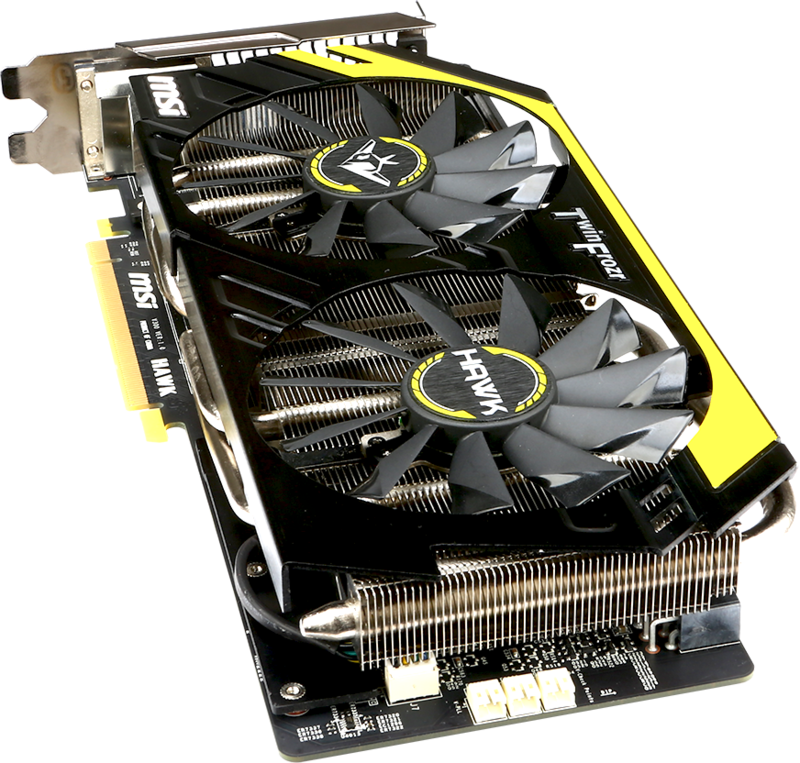 It’s also worth noting that Nvidia’s GTX760 has filled the price gap left by the recently retired GTX670 GPU – our testing shows how it stacks up performance wise.